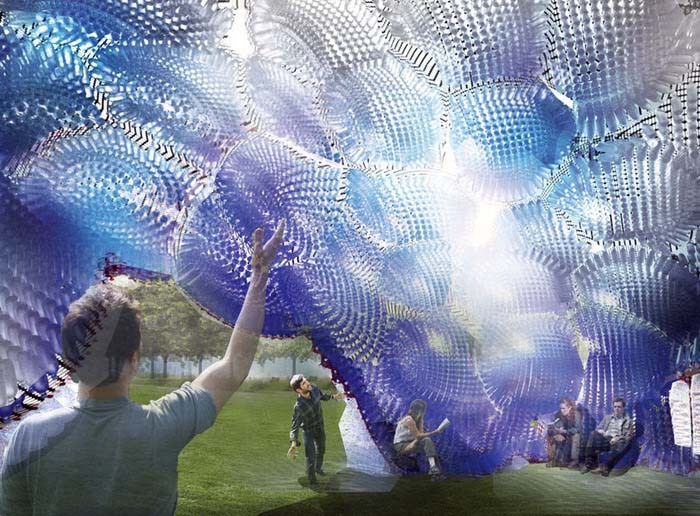 This upcoming summer’s City of Dreams Pavilion—the centerpiece at Figment on Governor’s Island—will be Head in the Clouds. Designers Jason Klimoski and Lesley Chang of Studio Klimoski Chang Architects (aka StudioKCA) kept sustainability in mind when they designed their entry. The armature of the structure will be made from aluminum tubes that use less material and are easier to transport than other more traditional materials. All the materials will be recyclable in an effort to minimize the carbon footprint. StudioKCA has been collecting the 53,780 water bottles and milk jugs (the amount thrown away in 1 hour in NYC!) needed to make their cloud. 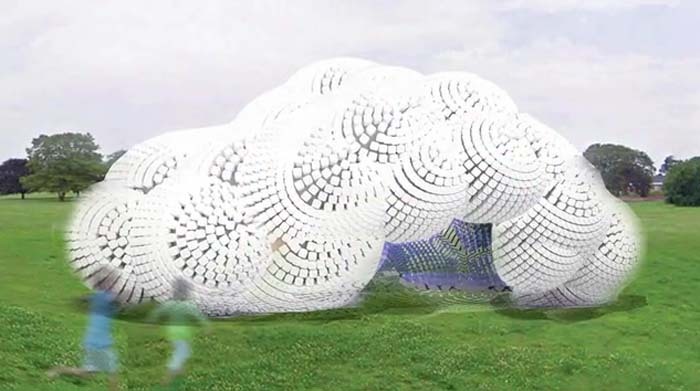 The jugs will be used to create 120 ‘pillows’ that will give the cloud its organic shape. The bottles with organic food coloring and water will give the interior a blue hue. StudioKCA have started a Kickstarter campaign to pay for some of the necessary materials and structural analyses. If you’d like to back the project, head over to their page and go for it.